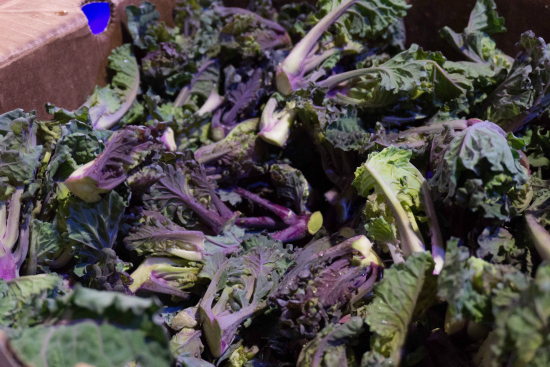 Have you tried Lollipops® kale sprouts yet? A couple of years ago, I wrote about my first experience eating them and I shared some information about a hip restaurant in New York that had them on the menu. In case you need a refresher, Lollipops® are a cross between red kale and Brussels sprouts. They’re a really nutritious and versatile veggie that can be enjoyed raw, sautéed, steamed, stir-fried…you name it! Did I mention they’ve got a beautiful color? This year, I had the opportunity to join Howard on another trip to New York to help represent Salad Savoy® Corp. at Baldor Bite. Salad Savoy® is the company that’s growing Lollipops® Kale Sprouts, Salad Savoy®, Carnival® Multi-Color Cauliflower, Red Ruby Swiss Chard®, and many other yummy veggies. 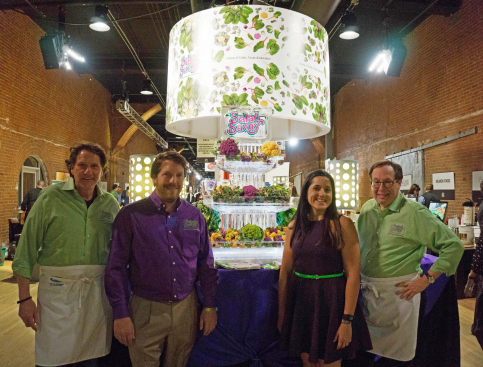 The company is setting trends in produce that are mind-blowing! No dyes were used in the making of these veggies! The day before the event, Howard and I took some time to visit a couple of restaurants in New York that currently feature Lollipops® on their menu: Dirt Candy and Marseille. Both of them are using Lollipops® in entirely different ways. 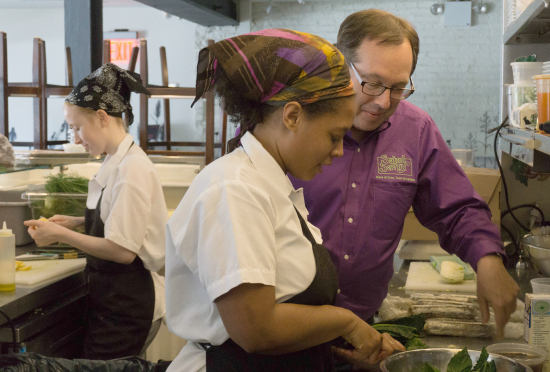 Chef Amanda Cohen, owner of Dirt Candy, is using them in her “Whatever Pickles.” Chef Alycia Harrington was able to show us how they typically prepare them. 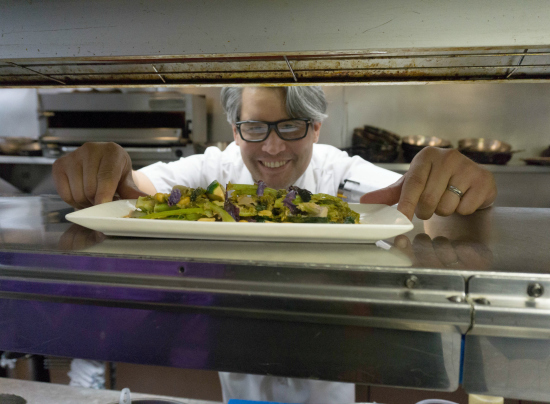 At Marseille, Chef Oscar Lorenzzi serves them with peanuts and a spicy aioli. And here we are on show day! 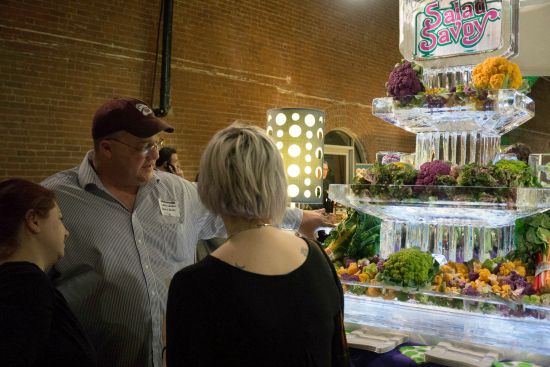 People absolutely loved the Salad Savoy® booth. 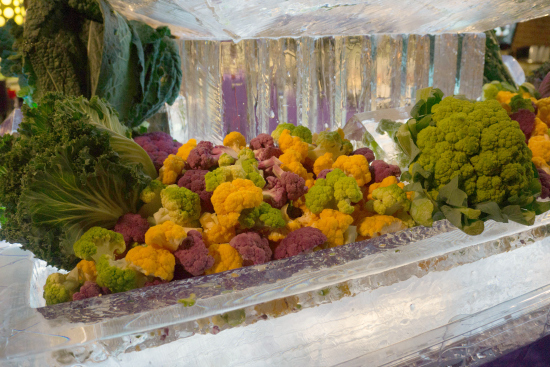 Not only was the ice sculpture a showstopper, but everyone enjoyed picking their favorite color cauliflower and dipping it in the Jimmy’s Pineapple Cole Slaw Dressing. And for those who wanted a plate of something hot, we offered Lollipops® kale sprouts sautéed with a little salt, oil, and pepper, as well as a chopped blend of Bright Lights® and Red Ruby Swiss Chard®, sautéed in a light teriyaki sauce. If the beautiful ice sculpture and large rotating sign didn’t catch their attention, the smell coming off these griddles definitely did! 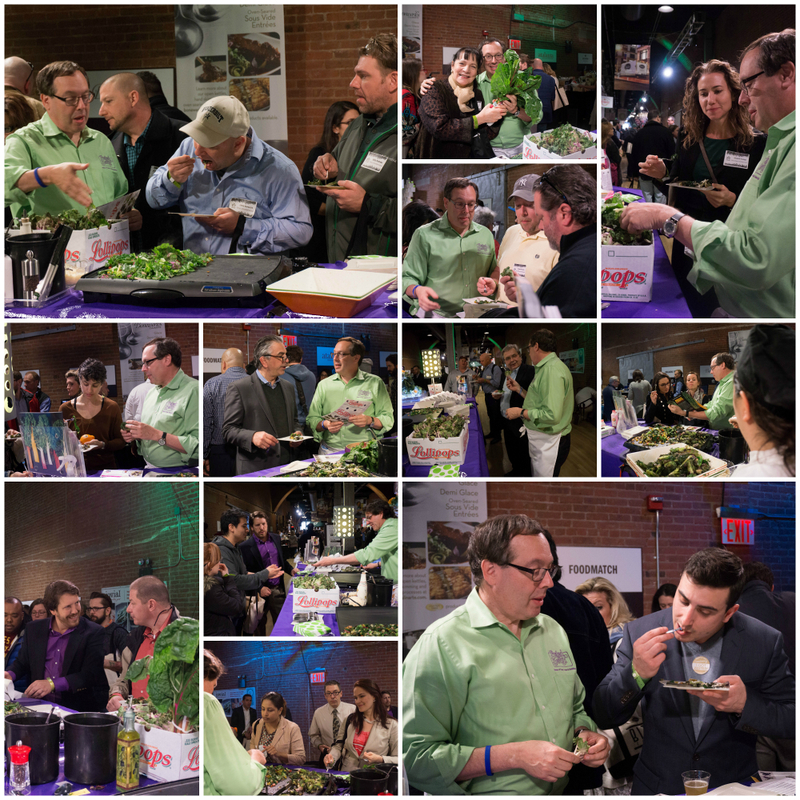 Hundreds of people stopped by the Salad Savoy® booth for a taste. There was so much positive feedback! 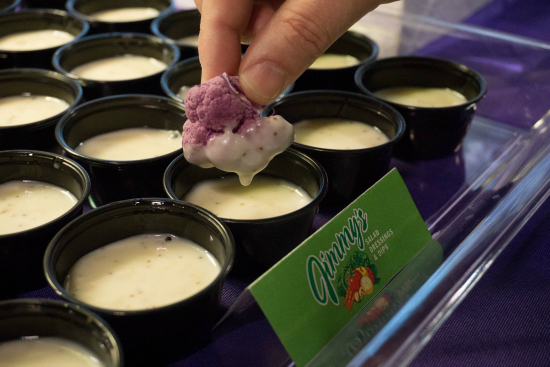 This event was attended by all kinds of people in the food business, including chefs and restaurateurs who said they’d love to include these veggies on the menu. I really enjoyed watching everyone marvel at the colors of the veggies and then make sounds of approval once they’d taken their first bite. 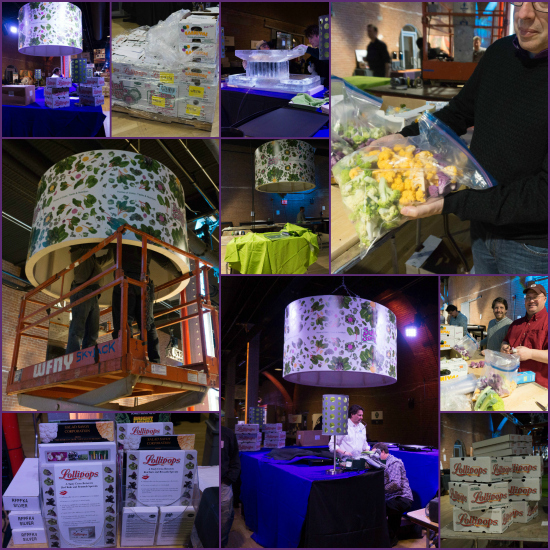 And now that so many people have been introduced to Salad Savoy’s® amazing variety of veggies, we can’t wait to start seeing it available in more places around the country. If your grocer doesn’t currently carry them, let them know you’re interested! Click here for more information on Salad Savoy®, including where it’s available!